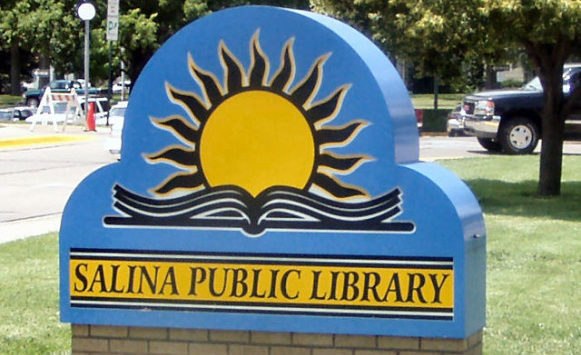 The Salina Public Library has set an aggressive summer reading goal. The organization is challenging the community to read 25,000 books. According to the library, they are calling on the community to demonstrate the value of reading by helping to reach the goal of 25,000 books read. Each book read this summer, from May 21 to July 20, can be logged toward the goal. Working toward the reading tally, plus plenty of events, classes and prizes drawings, will make up this year’s Summer at the Library. Weekly drawings will be held for adults, children and teens who add the books they read to the goal tally. Books can be added online at www.salinapubliclibrary.org or at the library. Books in any genre and format can be counted. That includes hardback, paperback, e-books, audiobooks, Playaways, Talking Books and books read to others. Books don’t have to be obtained from the library, but can come from personal collections or purchased at stores, as well. The library’s schedule will be full this summer with events for all ages. Children are invited to performances by Tamara Howe School of Dance, Drum Safari, juggler Flying Debris and Jim Cosgrove’s Mr. Stinky Feet. There will be art and yoga classes, discovery programs with Lakewood Discovery Center, K-State Extension and Rolling Hills Zoo. Educational classes designed to combat summer learning loss will be offered. Plus, children and teens can explore technology with classes on coding, robots, virtual reality and more. Children and teens can also enter prize drawings by attending events hosted by Youth Services or educational classes offered in the Technology Center. The summer will close out with a party at Kenwood Cove for all children and teens who turn in a book log to Youth Services. Adults can enjoy summer, as well, with a lineup of movie showings, Monday Night Book Discussions and a program on Summer Constellations lead by Dr. Dorothy Hanna, president of the Salina Astronomy Club. Technology classes covering 3D printing, Google Chrome and Soldering will be offered. In addition to the drawing for logging books, adults — those 18 and older — will also be entered into weekly drawings for submitting book reviews online or at the library. An Adult Summer Reading Open House will be from 6:30-8 p.m. Friday, July 20, at Salina Public Library for those who participated by logging books or attending the constellation program, any movie, genealogy event or book discussion. Dates and times for events are available on the library’s online calendar or in the Summer at the Library schedule at the library. More information on all summer activities can be found at www.salinapubliclibrary.org/summer or call (785) 825-4624.